This weekend we popped in to Nina’s Fresh Bakery in Downtown Abacoa. Open 6 days a week (closed on Mondays), with everything baked from scratch, I was excited to check out their lunch menu and baked goodies. First off, I loved the look and feel of this place from the bright pop of the tangerine wall and coffee counter to the whisk lighting fixtures. Being a mom, I also appreciated the kid’s corner with a play area for the little ones – parents need a cup of coffee in peace every now and then too! Eyeing the lunch menu, there are a handful of sandwiches, paninis, salads and quiches to choose from. I pretty much so immediately went for the Caprese Panini. I loved the rustic look of the baguette and thought it was delicious with fresh mozzarella, tomato, basil and a pesto spread. The hubs snagged the Italian Panini which looked amazing with ham, genoa salami and capicola with an Italian sauce. They had a cooler for drinks and a selection of chips or a salad to round out your meal. 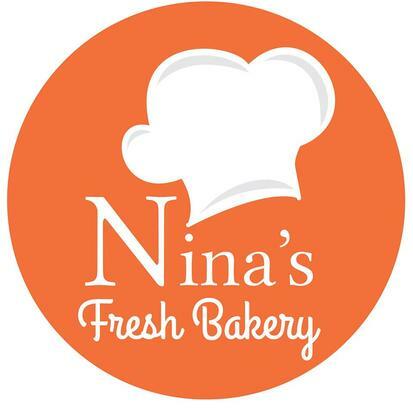 Nina’s offers cupcakes, custom cakes – including naked cakes – pies, signature breads, quiches, tarts, pastries, lots of baked goodness. For a post-lunch treat I ordered the Brownie Butter Cake which was quite the yummy hybrid with a brownie base and butter cake body. There were also some adorable rosette cupcakes in the case, Cruffins to behold and Eggs in the Nest for a savory bite. Downtown Abacoa is seeing a revival with shops popping up all along Town Center and Main Street and I’m excited to see Nina’s in on the action. Nina’s offers breakfast, coffee & tea, lunch, baked goods, cakes and catering/parties. So stop in and see what’s cooking, er.. baking!